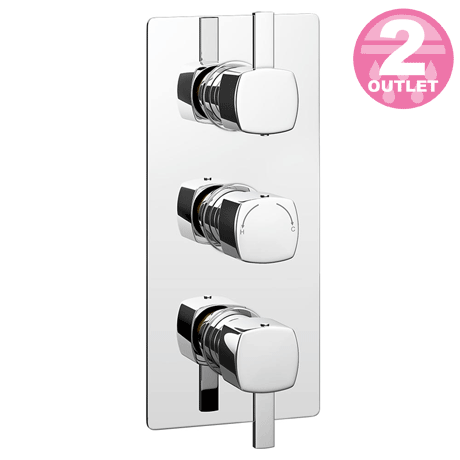 The modern Neo triple concealed thermostatic shower valve will compliment any modern bathroom suite with it's stylish soft square lever handles, offers thermostatic showering via three easy-to-operate controls. Separate controls for temperature and flow. Operates two shower accessories separately or simultaneously - Fixed head / Slide rail kit, Fixed head / Body jets or Slide rail kit / Body jets.